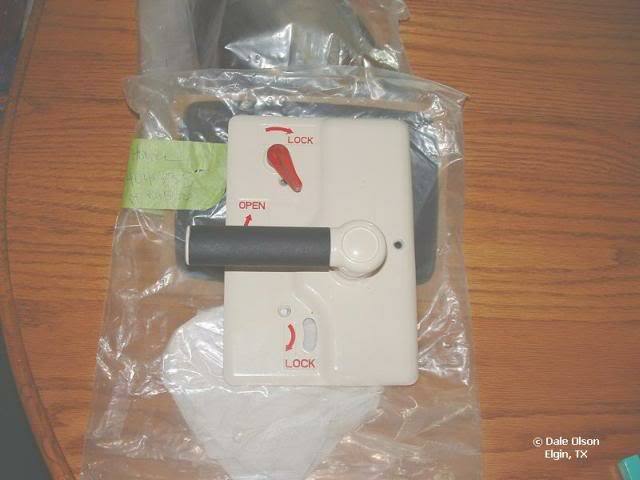 I need to replace a couple of baggage/basement door handle/latch assemblies that have worn out and internally broken, cannot open the doors any longer and need to drill a couple of them out with a big hole saw to even get them open. I was quoted $165.00 for EACH LATCH. Are you kidding me? Anybody have any other ideas/sources for these?!? There is no way in hell I'm paying that much for a silly latch. Here perhaps .. Flush Paddle Handle Latch on Polar Hardware Mfg., Co.
Bob Retired Army Traveling alone now except for Charlie the Beagle. Instead of calling Newmar direct, try getting a price from one of there dealers. It's still high but Newmar factory marks up there prices pretty high. You'll find that out if you visit the factorys on site store. It's 50% less picking it up there. Mwahahaha! I found them! EXACT same item and manufacturer! Sizes and dimensions confirmed and will replace mine exactly! $38.00/each! I have 4 on the way! A K is correct, you can almost always get a part cheaper from a dealer. 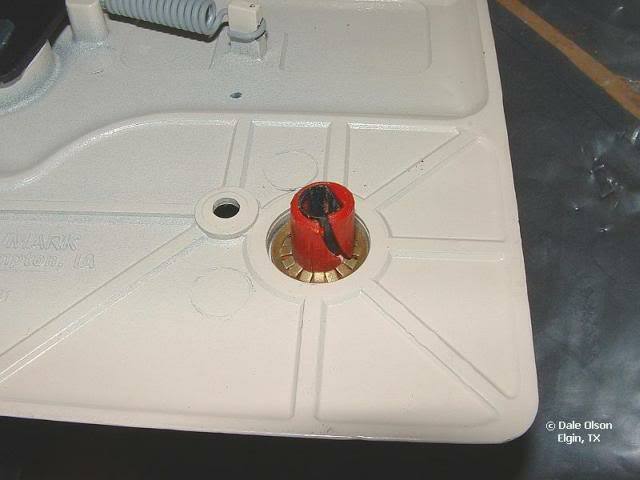 The latches will have to be painted--did the Newmar price include painting? I had a dead both fail on my door latch and Newmar sent a whole latch assembly. I saw the invoice because I did the install instead of a 6 hour round trip to have the dealer do it. All I need was a .97 sleeve and a .07 clip which I could have gotten directly from Trimark. Here is what Newmar sent. At the time the white version (outside) was $31 and the black version was $55. I had a good relationship with my dealers parts folks until the dealer stopped handling Newmar when the economy went in the crapper. Now, they can't seem to keep good service types. Just my opinion.... Newmar is not in the parts business per se. When I bought my 04 Mountian Aire and had to replace a headlight I almost could not believe that they used the headlights and side markers from 92-02 Mercury Marquis and the tail lights from a 97 Ford Ranger. How do you stock parts for coaches when they use items that 2 to 7 years old to start with. Also, if the RV industry was under the same rules, regulation and laws that auto industry is under the parts issues would not be as bad know that they must supply parts for x years after last date of manufacture. Location: MAINE, The way Life should be. And to top that off Dale, they used FORD parts on a GM based product!!! Tiffin Allegro Bus, 425 Cummins Freightliner XCR, Camp Freightliner, Acadia Denali, tow-N-4 Down, Blue-OX tow bar, TST Monitors, Seelevel II Monitors, Samsung Res Fridge, Progressive 50A-EMS, No Kids-No Pets, Full Time. Profit is not a dirty word. I don't mind paying a little higher percentage markup for various parts that are considered uncommon or slow movers that sit on the shelves for awhile. However, Newmar does not stock these latches. They pickup the phone and order them from Trimark as needed and drop ship them to the customer. This is a a common latch.. it's not been discontinued. In fact it's quite common on Service Body trucks. 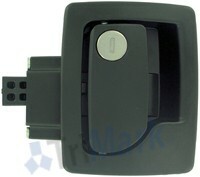 Wholesale cost on these latches is $28.00/ea, retail is $38.00/ea and that was in quantities of 1-4. They became even less expensive on 5-15 pieces! Yet Newmar wanted $160.00 EACH plus shipping. That results in a 400% markup on these baggage/door slam latches which is beyond preposterous. I understand, especially in this economy, that it's difficult and expensive to stock all the parts any of us might ever need. Having said that, when I call with a part need and they don't want to inventory parts (at reasonable prices) then they should be able to tell me the original source for the part - afterall this is their Coach. Therefore dont waste my time and resources and advertise about Customer Service and continuing ongoing relationships, blah blah blah so forth and so on, it's simply not true - and the 400% markup speaks volumes to the kind of customer service they intend to offer you. Had Newmar told me that the latches were $50.00/each plus shipping I would've ordered 4 of them from them on the spot, no questions asked. They could have drop shipped them from Trimark and made almost $100.00 with zero cost in stock or inventory. Instead they got nothing from me but an upset customer AND their parts guy wasting his time looking them up. Yet people continually ponder over losses in customer loyalty and businesses failing. I bought a latch at Newmar because of salt freezing up the aluminum latch and my price was 38 dollars are you sure your price may have been for four latch's. I know some prices are off the mark and you can find them cheaper at places of manufacture if they will sell them to you. I have never kept track when ever someone found a cheaper price maybe I will track down the threads and place a thread with all these cheaper prices put together. One thing you have to lookout for is how they are made cheap sometimes does not mean quality. As when Newmar found out with the plastic inners of the latch they were using. Nope, absolutely positive that was per latch. The parts guy even said something like "Um... these are um, horribly expensive it seems". I asked several times if he was sure that was individual pricing and he assured me it was. I only asked for 1 latch anyhow, I made no mention of more than that. If there is a higher quality latch then Newmar should have recommended it to me. This Trimark latch is the only one they offer as a replacement for my original latches. newmar has to stop stealing from customers? I'm a little surprised at this whole thread's tone. In case you all haven't noticed....we have a "free enterprise" system in this country which allows one and all to set prices for their goods and services however they see fit. Granted there are instances of gouging but the neat thing is.....there is always someplace else to get what you need and god bless the internet to that end. Bottom line.....If you don't like the price, get it somewhere else. RV Surplus sells the latches on my rig for $20.00 each so if I need one, that's where I'll go.